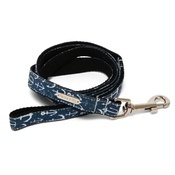 A multi-purpose dog lead that looks and feels gorgeous! 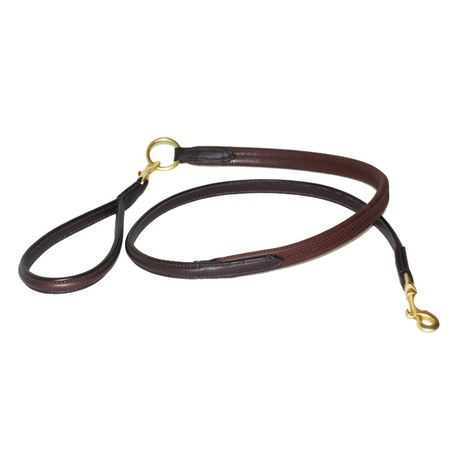 Made from durable European leather, the detachable rubber grip handle will help you maintain control over your dog when out and about – ideal if your four-legged friend gets overzealous when meeting fellow canines! Pear Tannery is a British company that designs and handcrafts all of its products from scratch. 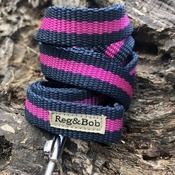 Using only the finest leathers and other high quality natural materials, Pear Tannery produces a range of elegant and practical accessories for dogs and their owners. 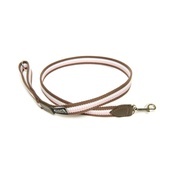 Rubber Grip Leather Dog Lead – Chocolate Brown. 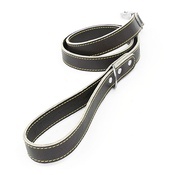 Made from strong and soft European leather. Features solid brass fittings and strong rubber grip handle. Hand cut, finished and stitched. Cared for correctly this lead can last a lifetime. With the detachable handle: 122cm/48" (length) x 1.3cm/0.5" (width). Without the detachable handle: 100cm/39" (length) x 1cm/0.5" (width).